These small-batch brewed sodas, dubbed “Southern Appalachia in a bottle,” use only the finest ingredients sourced from farms throughout Western North Carolina to provide seasonal, farm fresh flavors of locally grown rhubarb and handpicked strawberries in an artisanal soda pop. Waynesville Soda Jerks specializes in handcrafted, locally produced, artisan sodas and syrups. They make their sodas and syrups from scratch using ingredients sourced from farms throughout Western North Carolina to provide seasonal, fresh flavors. Their products are natural and simple - made from local produce, cane sugar and water. By utilizing local produce and an all-natural approach, they bring the mindset of the local food movement to the beverage market by reconnecting consumers to the source and spotlighting the quality and importance of the local agricultural economy. 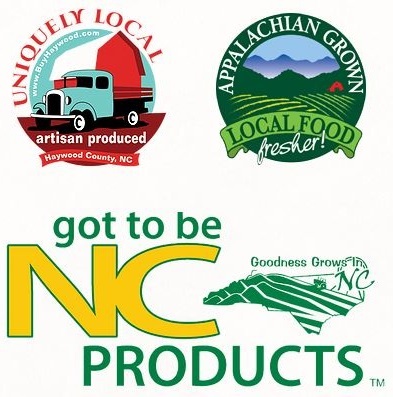 Waynesville Soda Jerks is the only beverage company in the North Carolina to be certified partners of the agricultural advocacy groups: Buy Haywood, Got to be NC, and the Appalachian Sustainable Agriculture Project.